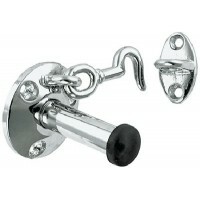 Heavy-duty stainless steel. 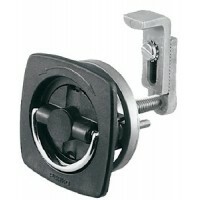 Handle: 6-1/4" LBracket: 3" x 1-1/2"Bolt: 1/4".. 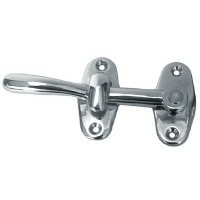 Cast brass with chrome finish. Carded. 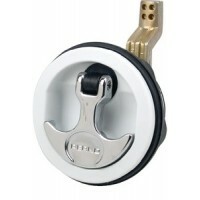 Fastener #6 FH. 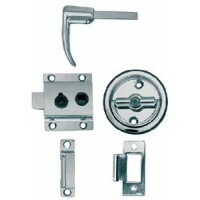 A: 1-7/8"B: 5/8"C: 13/16"..
Investment cast 316 Stainless. 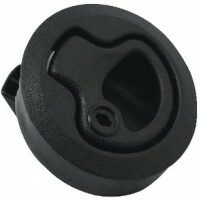 Hole: 2'A: 2-3/8"B: 3-3/4'.. 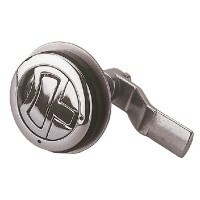 Cast 316 Stainless A: 2-7/8"Fastener: #8 FHB: 1-1/4"C: 1/4"D: 9/16"E: 7/8"..
304 Stainless steel stop holds door securely against the rubber stop reducing rattles which are comm.. 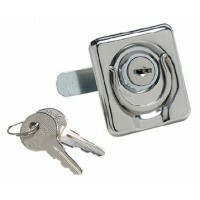 Stamped 304 stainless steel die cast zinc lock. 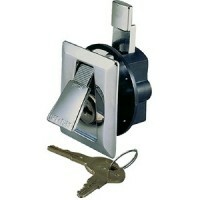 Comes with two matching keys. 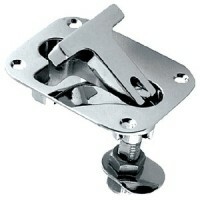 A: 1-9/16" x 1-7/8" Lo..
Investment cast 316 stainless steel. 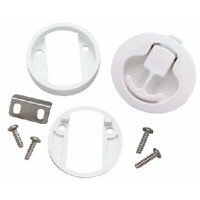 Fastener: #8 FH. Carded. 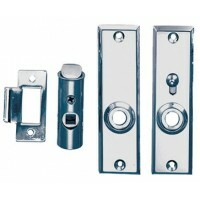 A: 2-7/16"B: 1-1/2"C: 2-1/4"D: 3/4".. 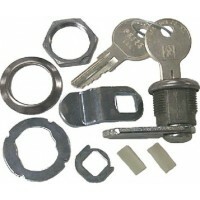 Stamped 304 stainless/die cast zinc lock. Carded. 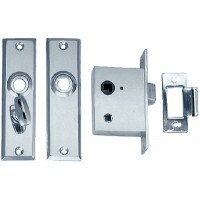 A: 2-1/8"B: 1-15/16"C: 1-1/16"D: 3/16"E: 15/16"..
Comes with complete set of installation hardware. 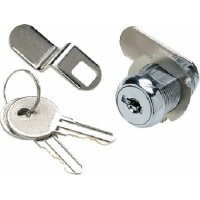 1-1/8"L. Includes 2 keys. 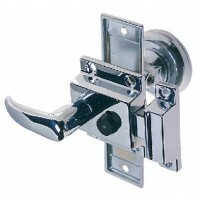 Material: Chrome plated .. 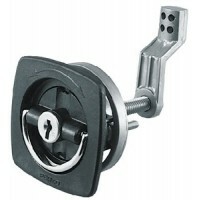 Ideal for locking compartment doors, dock boxes, etc. 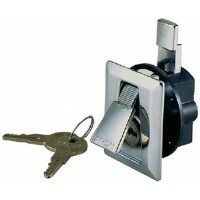 Eliminates bulky padlocks. 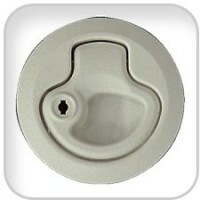 Installs in 1-5/8" .. 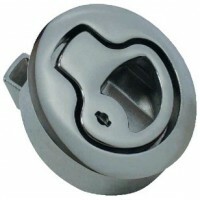 Requires 3/4" hole to insert lock. 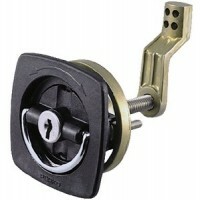 To lock, just turn key to locked position. 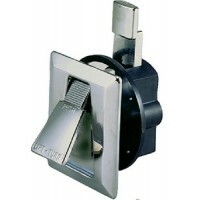 Face plate: 1-7/8" x 2..
Sierra, Glove Box Lock, MP50560..
Made of marine grade polymer or stainless steel. 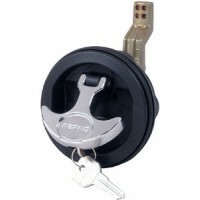 Size: 2-3/8" dia.Type: LockingColor: Black..
Made of marine grade polymer or stainless steel. 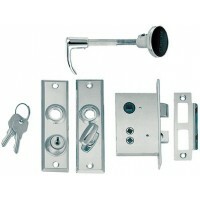 Size: 2-3/8" dia.Type: LockingColor: White..
Made of marine grade polymer or stainless steel. 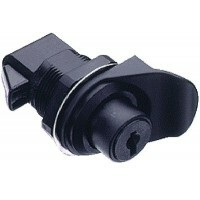 Size: 2-3/8" dia.Type: Non-LockingColor: Black..
Made of marine grade polymer or stainless steel. 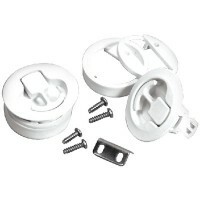 Size: 2-3/8" dia.Type: Non-LockingColor: White..
Made of marine grade polymer or stainless steel. 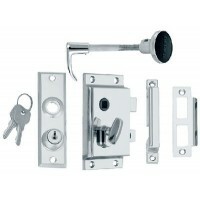 Size: 2-3/8" dia.Type: LockingColor: Stainless..
Made of marine grade polymer or stainless steel. 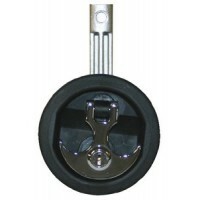 Size: 2-3/8" dia.Type: Non-LockingColor: Stainless..
Anchor handle lock Description: Black body, Chrome handle..
Low profile oval design. 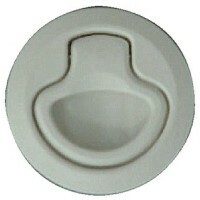 UV stable, stainless steel striker plate, fits a 2" hole. 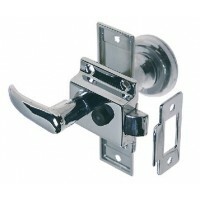 Comes with shims/..
Non-locking recessed latch Type: Non-locking..